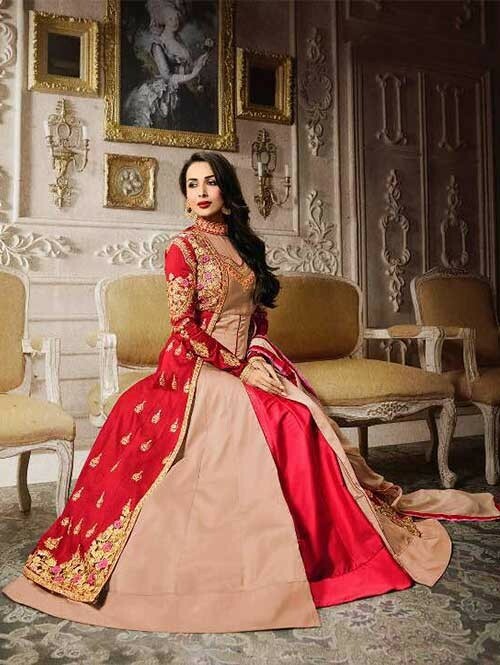 Catch Out Best Look For The Day With This Awesome Red and Beige Colored Embroidered Lehenga today. 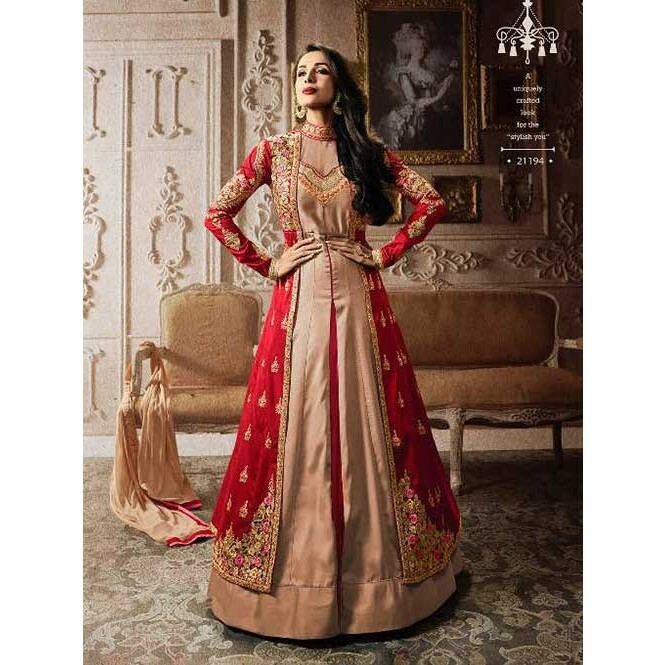 This Red and Beige Colored Beautiful Lehenga Suit has CutWork Style Emboidary in Attached Koti with Different Cut. 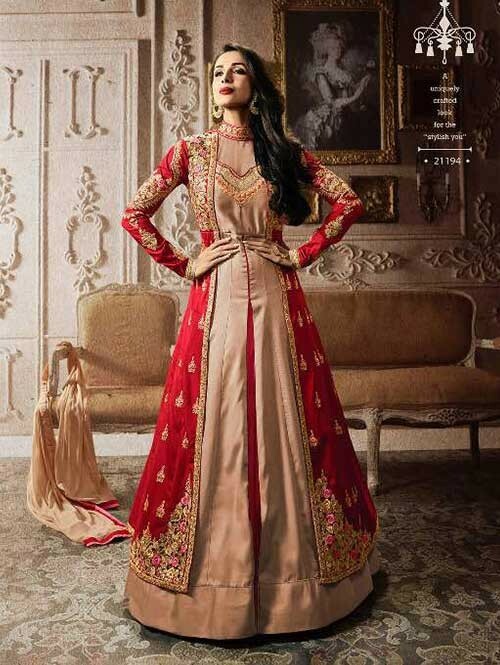 This Beautiful Lehenga Suit has Zari, Badla And Sequence With Resham Touch up Work. Very light yet looks heavy. Awesome Lehenga for a Wedding or Special Occasion.